The White Flint area of Montgomery County, Maryland is rapidly developing with a series of new construction projects that will dramatically change the communities located along Rockville Pike, north of Bethesda. In late 2014, the community voted to rename the area "The Pike District". The White Flint Sector Plan will transform large parking lots and suburban shopping centers into a mixed-use, compact urban center. When completed, the new White Flint will include a network of sidewalks and streets to encourage people to leave their cars and walk. The plan won an award for best neighborhood/small area plan from the National Capital Area chapter of the American Planning Association. The White Flint Sector Plan establishes guidelines that include transportation and infrastructure improvements as well as upgrades to the White Flint Metro station. A major goal of the development in the White Flint area is to ease traffic congestion on Rockville Pike. Plans include $601 million of targeted infrastructure enhancements to improve mobility throughout the area. The public transportation plans include establishing a dedicated center-lane for bus rapid transit, removal of the Metro turn-around at Grosvenor, and building a new north entrance to the White Flint Metro at Old Georgetown Road. Pike and Rose: One of the largest projects in the region, Pike & Rose includes 450,000 square feet of retail, more than 1 million square feet of office space, 1,500 residential units, a boutique hotel, an 8-screen movie theater, and a 250-seat performing arts venue. North Bethesda Market II: The building will be the tallest in Montgomery County at almost 300 feet tall and will include 400 luxury residences with 120,000 SF of retail and restaurants and 150,000 SF of premier office space. 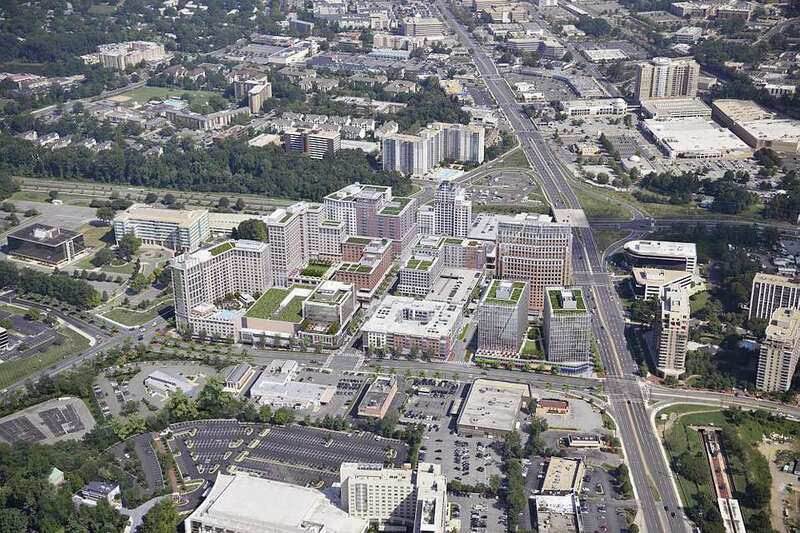 It will be located adjacent to North Bethesda Market I which was built in 2010 featuring luxury residences, restaurants and retail space including the Whole Foods and LA Fitness.